As part of Print+Promo’s ongoing feature, Executive Perspectives, we get to know leading professionals in the print and promotional industry. 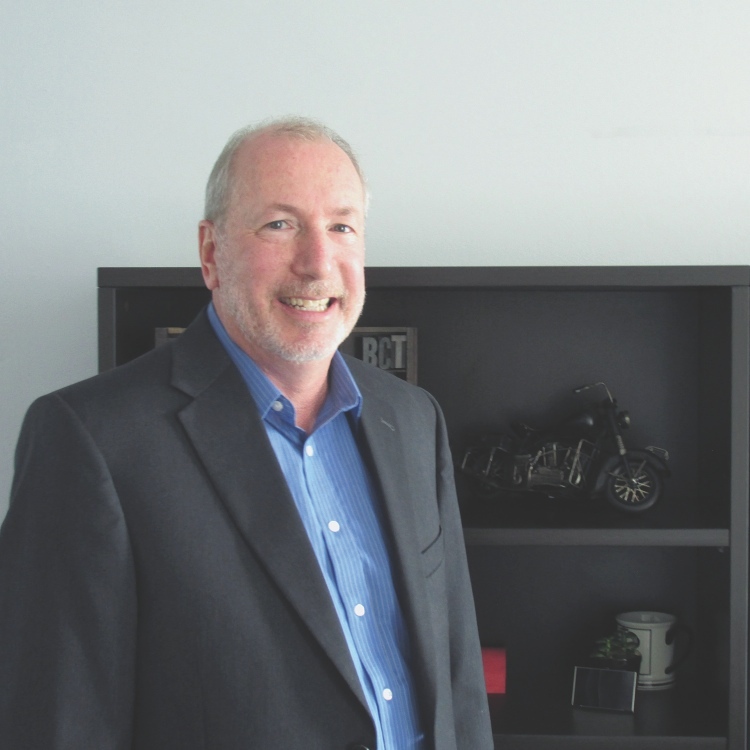 This month, we interviewed Bruce Mars, president of BCT International Inc., Fort Lauderdale, Fla. Here, he expands on his consultancy background, an impending product launch and the tough decisions management faces. How did you first get started in this industry, and what path did you take to land in your current role? Bruce Mars: My printing journey started in 1990 when I purchased an existing quick-print shop, The Printing Center, in Fort Lauderdale with zero experience in the industry, or [with] running a business, for that matter. I was 30 years old with a young son, and felt like I needed to do more to provide for my family. The shop was extremely inexpensive to purchase, and I quickly found out why. [I changed the name to Planet Printing in the first three months, and] I began reading everything that had to do with printing, as well as business. I learned how to run every piece of equipment and because I came from a sales background, I began to put a sales plan together. A consultant friend of mine helped me figure out that since the shop was in Fort Lauderdale, a niche around everything nautical was the right path—and it was. The shop continued to grow year after year. We moved into a much larger facility and continuously increased our offerings. The small quick-print shop became a company, and I sold it in 2009. It is still running today. I began consulting, focusing on printing companies, but not exclusively, and am proud to say I helped over 500 companies in the U.S. and Canada. While doing so, I met the owner of BCT, and we hit it off immediately. The company was struggling and stuck a bit, and he asked if I could come aboard and help the corporate location, as well as the 30-plus franchises, bringing the processes I had been using to help so many companies thrive. How do you set goals for yourself? BM: I set short-, medium- and long-term goals for both myself and the business, and I write them down. Setting written, achievable goals needs to become a habit for all business owners. Once you begin achieving your goals, you can begin adding more difficult ones. The hard part is knowing when to focus on one or two [goals], instead of trying to do all at once. How does the economy continue to affect the industry? BM: There are a lot of factors that affect this [in] any industry, and the economy is certainly one of them. I believe we will lose customers whether the economy is doing a good job or [a] bad job; it is just the nature of business. There needs to be a strong selling effort to negate such an effect. There still is plenty of business out there for us and other wholesale printing companies. What do you expect to be some of the biggest changes or challenges the industry will face? BM: Technology in the printing industry is moving at such a rapid pace [that] sometimes it is hard to keep up. It is akin to changing your car tires while the car is still moving. We need to stay ahead of this and look to the future of what will be happening, making sure we are at least one step ahead for our customers. BM: As a leader, you need to make quick decisions—some being easy and others more difficult. My decisions are based on the lesser probability of bad things happening. Every decision that I make has people attached to it. What we do on a day-to-day basis affects many lives—from our employees and our customers [to] our vendors, all with families attached. Taking care of these people is very important to me. What do you think is the most exciting, cutting-edge thing your company is doing right now? Why? BM: We are in the process of launching our brand new e-commerce site, [something that] we really never had before. It is going to be a very simple site to order from if you are a new prospect or customer. Once you are in the system, you can work with one of our plants to utilize our web-to-print solution, Orderprinting.com, which we are working on revamping. This solution enables our 60,000-plus customers using the software to ensure consistent corporate identity with end-user, pre-designed templates and layouts, streamlining their ordering process. Also, we have the ability to integrate with many procurement systems used in the industry. As of this date, we have produced over 11 million orders with this system. BM: It seems that every vacation we take, hiking is involved, so I am starting to believe that this is one of my favorite things to do. Also, I am a father of a 2-year-old again at a later stage in life. Most people would say that I am crazy, but it has been the biggest blessing of my life. He is gorgeous and very funny and smart. I don’t get much sleep these days, but it is more than worth it. Elise Hacking Carr is editor-in-chief/content director for Print+Promo magazine.